“I have felt insulted, scandalized, and indeed bastardized all in the name of the AG’s office to play politics with the bench in general and with me in particular. I am no politician. I am a judge and have taken an oath to dispense justice to all manner of persons irrespective of whatever. “I will only plead in the name of the Almighty God that they stop these useless propaganda against the bench and get their act together as professional lawyers instead of appearing to be political stooges. These were the words of Justice Anthony Oppong, the High Court judge who was trying 15 people suspected of killing Ya Na Yakubu Andani II, overlord of Dagbon, before he stepped down from the case. He stated yesterday that he did not feel safe enough to continue sitting on the trial. Justice Oppong gave the shocking ruling at the Fast Track High Court Four in Accra when the 15 suspects standing trial appeared before him. On August 16, 2010, when full trial started, Rexford Wiredu, a Principal State Attorney prosecuting dropped a bombshell by claiming that the Attorney General and Minister of Justice Mrs. Betty Mould-Iddrisu intended to object to the judge handling the case on the grounds of bias. The judge then asked the Attorney General’s Department to formalize the application by pointing out the bias they (AG) were claiming and adjourned the case to yesterday August 23, 2010 for the motion to be moved. 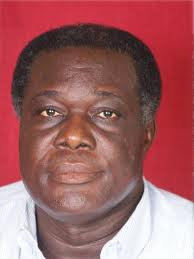 However, before the motion could be heard, the Deputy Attorney General, Ebo Barton-Oduro was said to have granted a radio interview and accused Justice Oppong of being a drunkard and making prejudicial comments about the case at a drinking bar and that a woman had told him of the incident. He said “this is a jury trial and it is not the judge who will pronounce these accused persons guilty. It is the jury that will do this so why should anyone accuse me of bias. He said the Deputy AG must be ashamed of himself and must also be told that this is not how he should object to judges sitting on a case for whatever reason. When the AG raised the objection of bias against Justice Oppong and he asked the AG’s office to file the motion stating their grounds, the AG rather filed an application for judicial review which had no returning date and did not even notify lawyers handling the15 accused persons. Ebo Barton-Oduro, confused by the latest development, told Joy FM that he had a tape recording in which Justice Oppong said he would "throw out the case". The judge was alleged to have told a lady at a drinking bar that the case would be thrown out. “If he thinks that he did not say it and he wants that matter to be gone into, I am ready. I am telling you, I have the evidence. When I interviewed the lady, I recorded it. It is on tape; I don’t do things just for the fun of it," he said. Asked if the interview was a third party interview, the deputy AG retorted: “What are you telling me? : The lady who was sitting on the table with him when he made the pronouncements. Let’s not go into that,” he warned. He has threatened to make the tape public if Justice Oppong continues to cast aspersions at him. But Justice Oppong has thrown a challenge to Barton-Oduro to go public with the so-called tape.